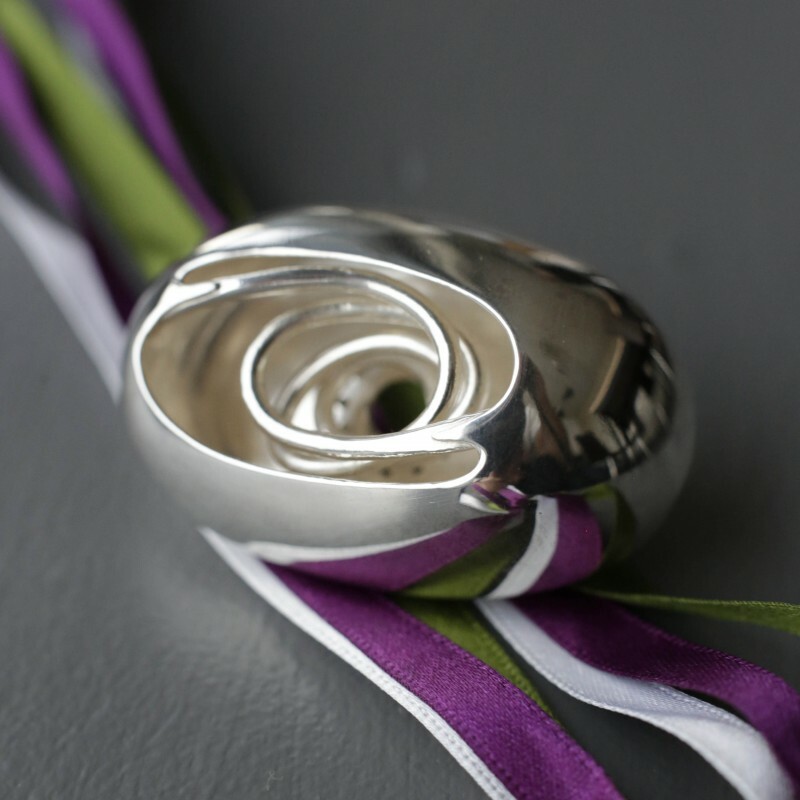 The Suffrage Science scheme was founded seven years ago by the Medical Research Council’s London Institute of Medical Sciences (then Clinical Sciences Centre). It celebrates and inspires women in science, creating a self-perpetuating cohort of talent that will encourage others to enter science and reach senior leadership roles. 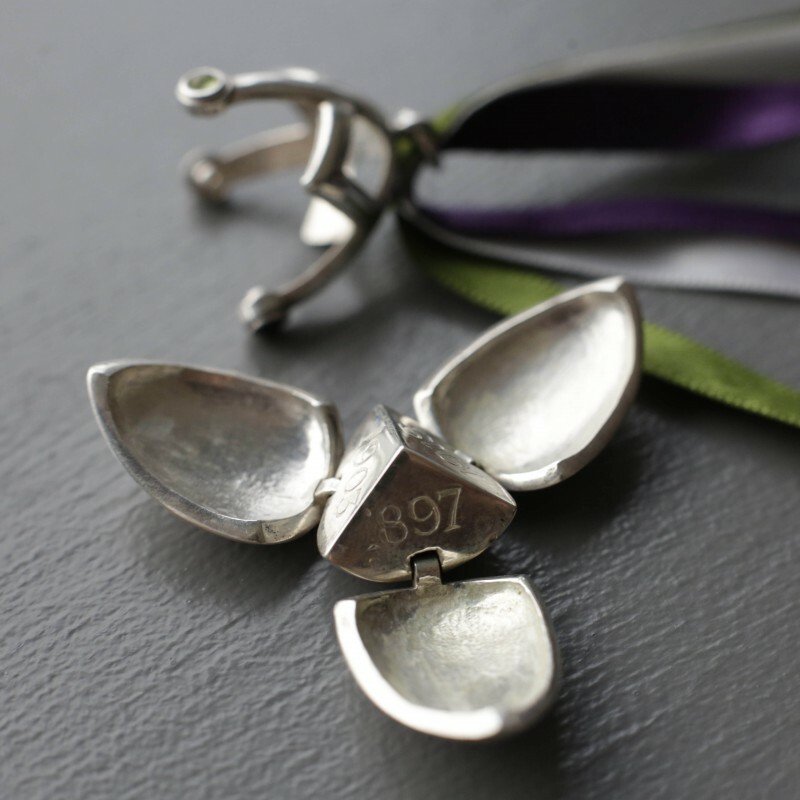 The awards themselves are heirloom items of jewellery commissioned from students of the art and design college, Central St Martins-UAL, who worked with scientists to create pieces inspired by research and the Suffragette movement, from which the scheme takes its name. Designer Lola Lou says, “I use cells and tissue scaffolds as icons to represent you twelve individuals, and the Medical Research Council.” She adds that bringing together women in through the Suffrage Science scheme has created a network that contributes to mankind. 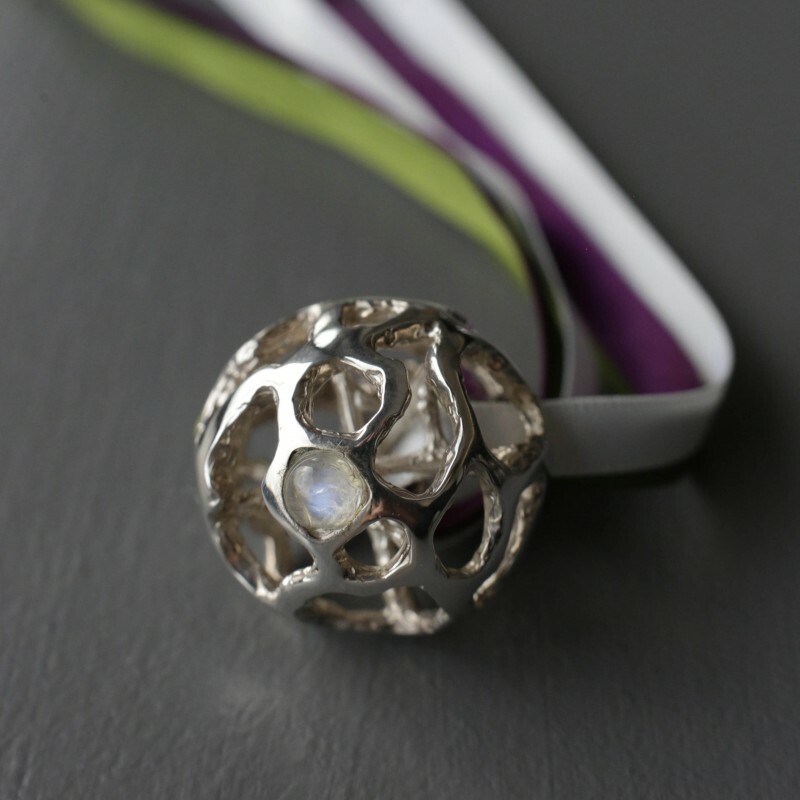 Embedded in her pendant are round and oval shaped stones of white moonstone, purple amethyst and green peridot minerals – the colours of the Suffragettes. Designer Diana Dong says her brooch is inspired by “the strength, belief and courage that exist deep within each woman’s heart.” On her design board, she writes, “Under their seemingly weak appearance there is a strong heart with the desire for growth, equal rights and hope to make (a) contribution to mankind in the fields of science, medicine and engineering.” “The display device is designed to incorporate the magnetic levitation principle. 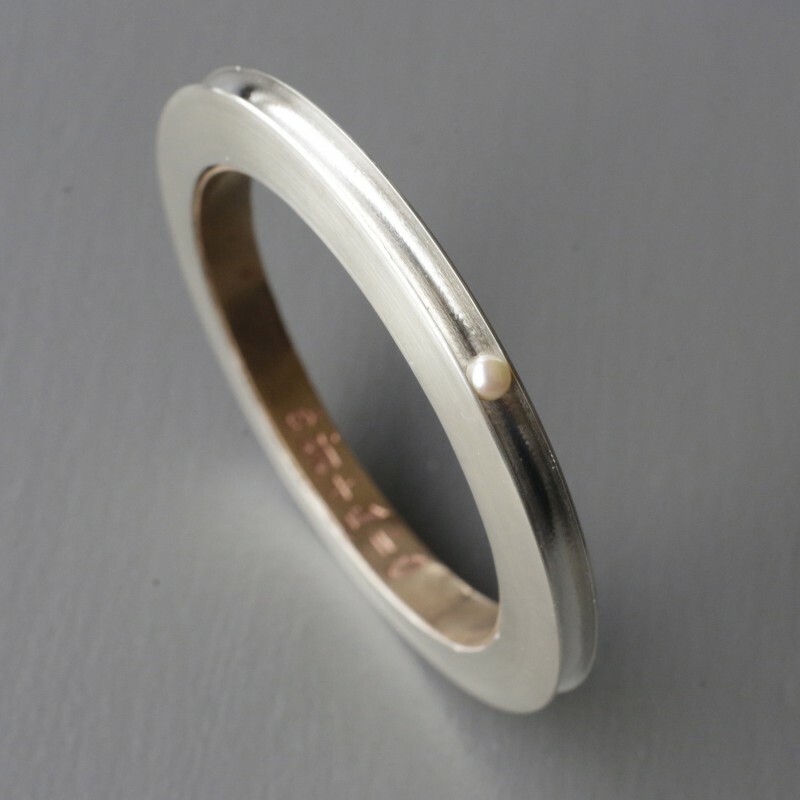 Magnets will be installed in the base of the display device and the bottom of the brooch, which will make the brooch suspend in mid air,” says Dong. 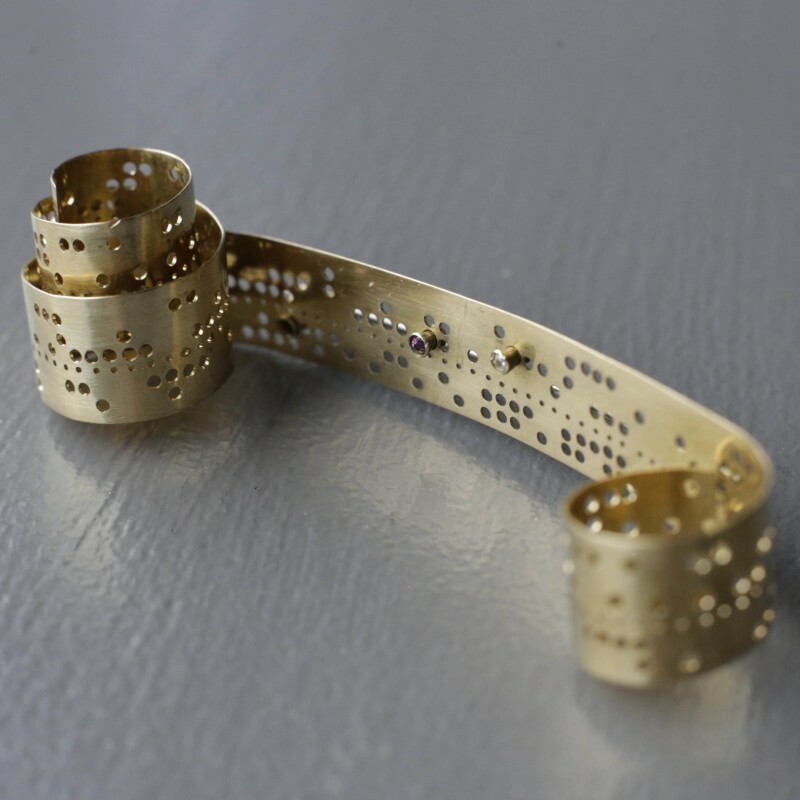 Pattern of thought – Made from gold punched tape, the brooch reflects the fields of mathematics and computing. Punctured tape was originally used by computer scientists to send text-based messages, and later for storing data. 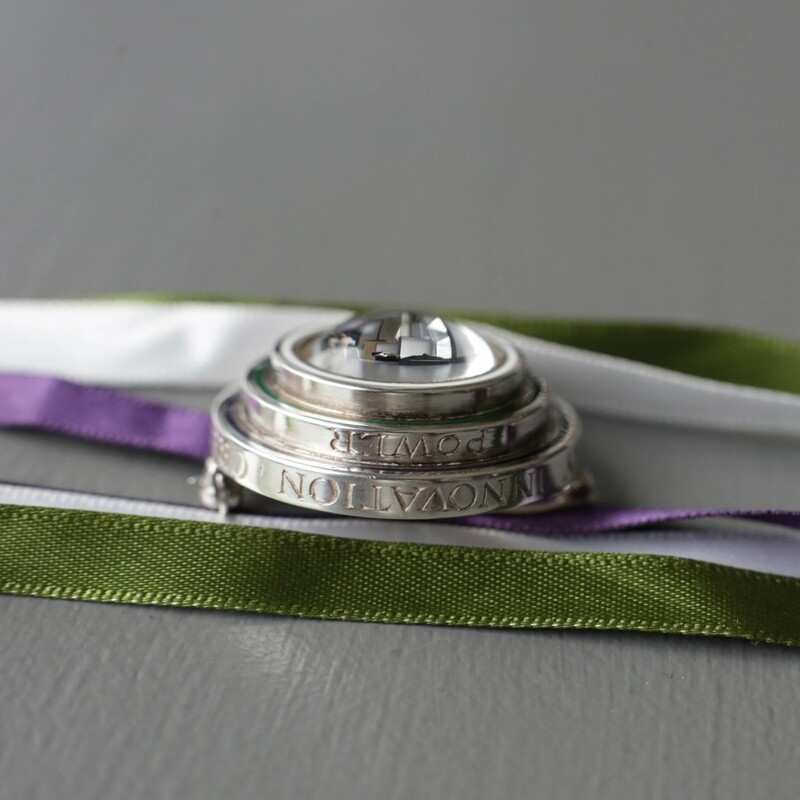 The brooch is an elegant piece with a powerful message, decoding the series of holes on the brooch reveals sentences from three Suffragette banners; ‘Deeds not words’, ‘Courage Constancy Success’, ‘Through thick & thin we n’er give in’ and the phrase ‘Suffrage Science Award 2016’.